Adelaide mother who left three-year-old sleeping in hot car receives good behaviour bond. Adelaide mother who left 3yo boy sleeping in hot car given good behaviour bond. 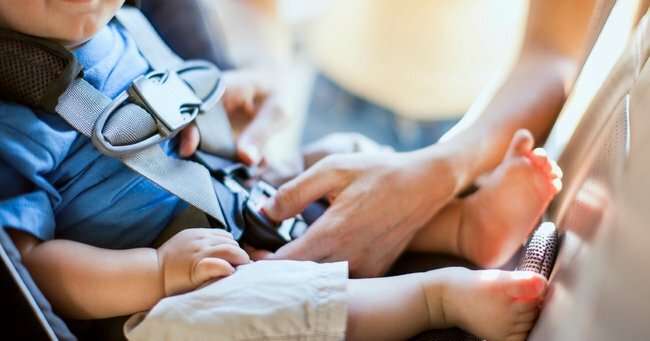 An Adelaide woman who left her three-year-old boy in a car on 41.8 degree Celsius day has been spared jail and placed on a 12-month good behaviour bond. The woman, who cannot be named for legal reasons, was found guilty of aggravated creating risk of serious harm. She left her son in a car while she went shopping in Adelaide’s north-eastern suburbs in February 2014 on an extremely hot day. The woman claimed at trial she forgot her son was in the car. The prosecution alleged she deliberately left her child in the car because she knew he would be in a bad mood if she woke him. The court heard were it was not for the intervention of others he would likely have died. District Court Judge Julie McIntyre said it was an aberration from an otherwise loving mother and suspended a one-year jail sentence, placing the woman on a 12-month good behaviour bond. The woman cried and hugged family members outside the courtroom after her sentence.